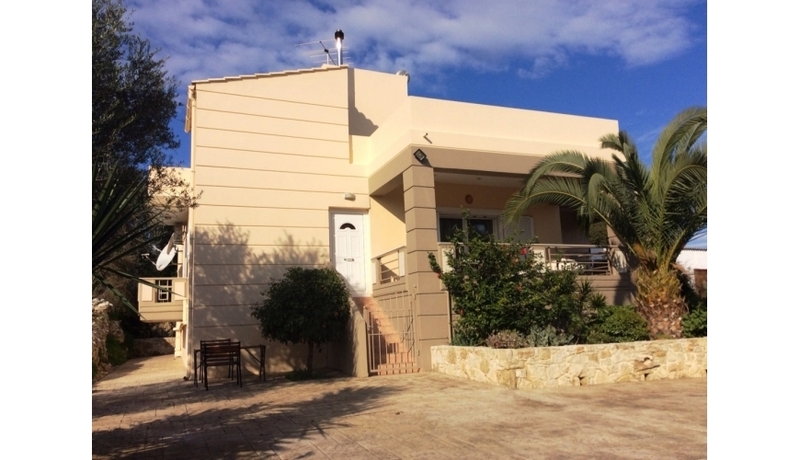 This lovely, modern 3 bedroom villa sits on a large plot just above the popular village of Plaka and enjoys panoramic Sea and Mountain views. Entrance to the house is via ground floor access — direct from the parking area. It has nicely landscaped gardens, a large basement. There is room for a private pool and the villa is very well maintained. 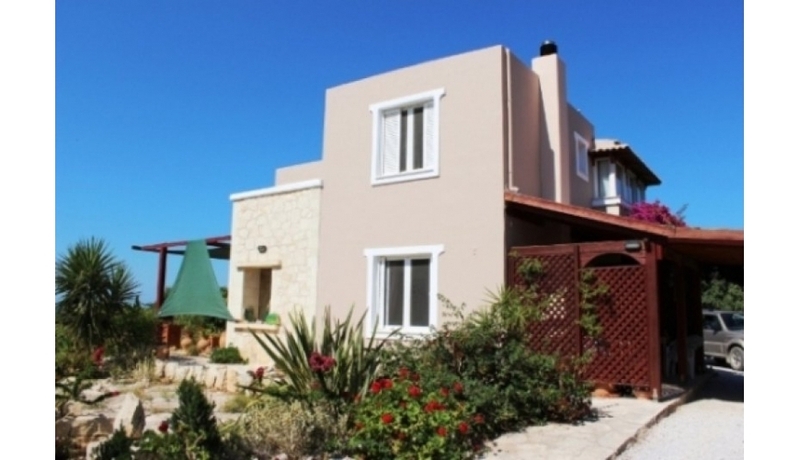 This property is great as either a holiday villa or as a full time home. It is very convenient for both Plaka and the resort of Almyrida. 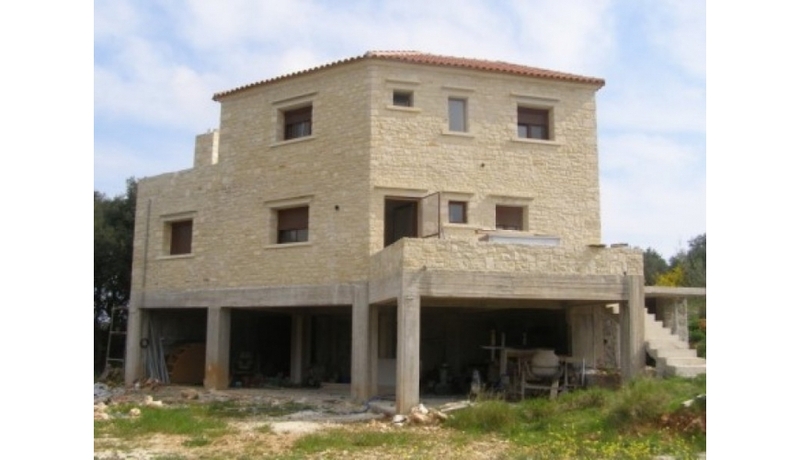 This beautiful house completed in 2009/10 is set in a perfect location with panoramic views across Souda Bay and the White Mountains. The villa has been well designed to make the most of the views from all areas. It sits on a large private plot with plenty of room to add a pool if required. The gated plot has a driveway from the quite lane— with plenty of parking space. Inside the villas, the villa has a modern, bright finish throughout whilst incorporating some lovely features such as wood vaulted ceilings. The ground floor has a modern, open plan kitchen and dining area with all built in appliances. There is a very spacious and light living area with wood burning stove. Patio doors from both areas leading to covered front terraces overlooking the gardens and the wonderful views. Also on this level is a large double bedroom and fully tiled shower room which also houses the washing machine. On the upper floor are a further 2 double bedrooms and the main bathroom with full bath, shower and vanity units. The villa has a very large basement currently used for storage . However, this could be utilised as perhaps a gym, games room etc. The basement area also houses the central heating boiler and the water tanks. 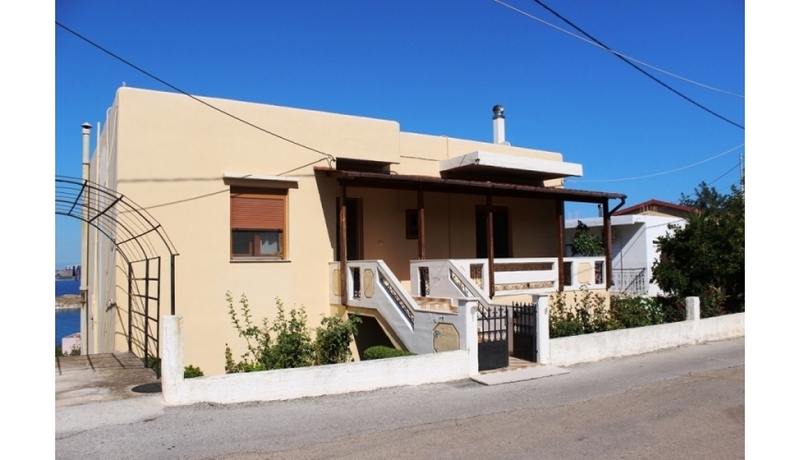 The villa currently holds an ESL licence for holiday rental and has all the required paperwork in place ready for a sale. What do you get when you multiply five by five?